Life post-Academic may be beckoning and it quite exciting to meet someone like Henry Normal last night who not tainted by the academic environment. So there is water on Mars then…at the moment I feel like Major Tom having been stuck in a Tin Can for 8 years. I will not be going back to academic teaching..I done that..it over. I would love to do a really good PhD then become a researcher..a reader say..but that it with Academia. HE teaching no. 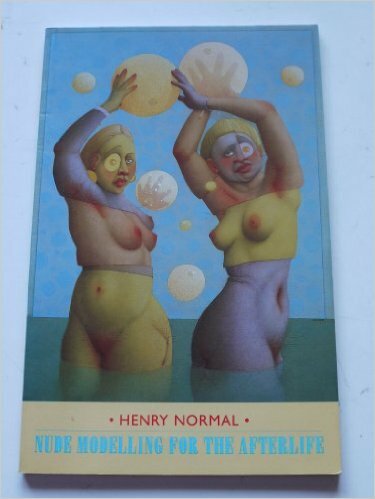 It was interesting to talk to Henry Normal who had gone the exact opposite way to me. Started writing poetry early then got involved in TV and then started writing again recently following his father’s death. I wrote fairly steadily through the 90’s but the Naughties were tainted by the diagnosis and subsequent deaths in 2004 of first my father and then my mother in 2012 from cancers. That pretty much ended my relationship with Oxfordshire too..symbolically the Salt pamphlet ‘Last Farmer’ went in my mother’s coffin. Done and Dusted…. Until now. I have finally thrown off the mantle of Academic Teacher which I never felt entirely happy with. Especially as the Progressive Rightists Corporate Zealots ripped the heart and soul out of the system and impose what is fast becoming a training regime staffed entirely by a compliant workforce. I have started to think positively about writing again…and narrative..how it comes out I no idea but at least I have time to think about it. Even the aborted NTU MA was too precious and compressed to really feel able to get on with it…. I had simply exchanged one outcome regime for another..only this time on the wrong side of the fence. So if there is anything poetry wise left in the tank it will probably happen now. but at least I holding the control stick this time.